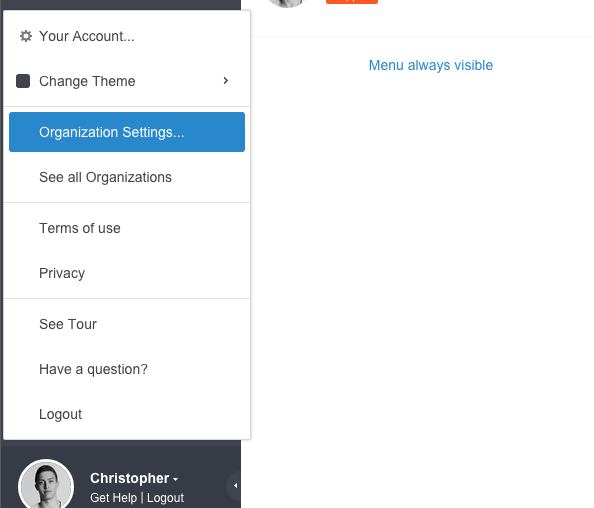 The settings of an organization can be edited by clicking on your name / profile picture in the lower left corner and selecting " Organization Settings...". Click on your profile picture to access the organization settings. 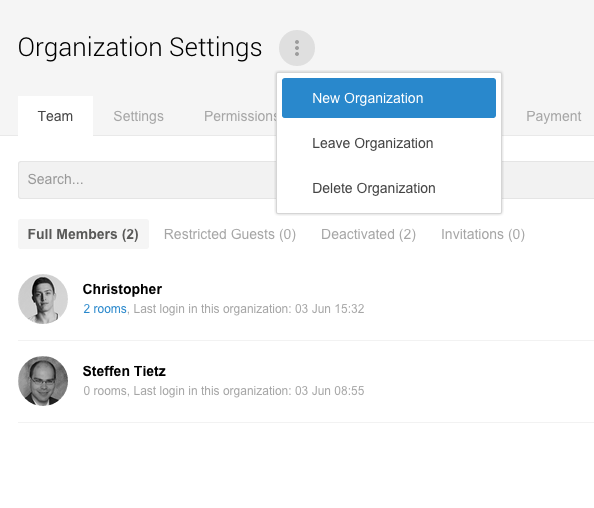 The settings icon next the organization name contains the option to create a new organization and to leave or to delete the active organization. 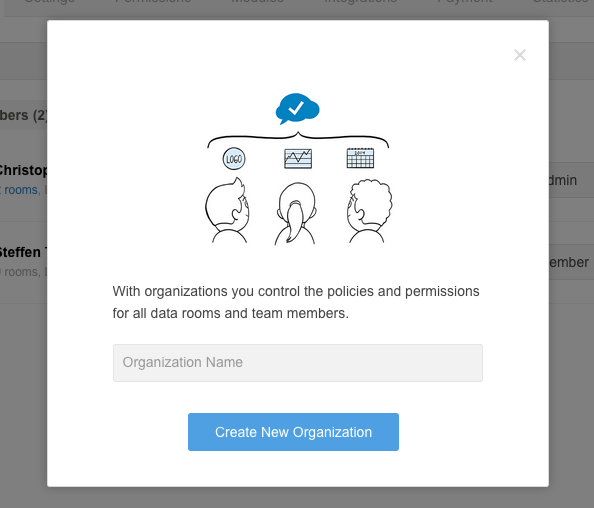 Click on the settings icon and select "New Organization". Subsequently, give your new organization an unique name and you're ready to start.